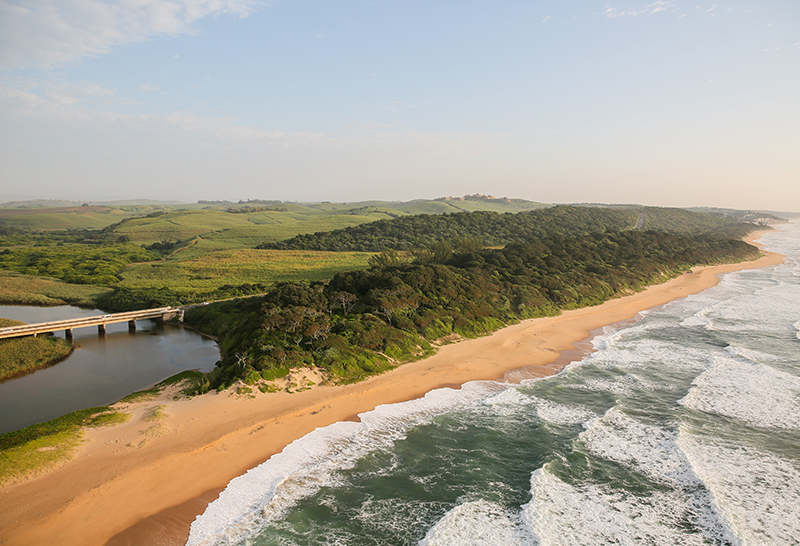 Original Source: Rehabilitation of Sibaya Coastal Forest Reserve commenced with rehabilitation and alien species clearing at Sibaya Coastal Precinct in June this year. 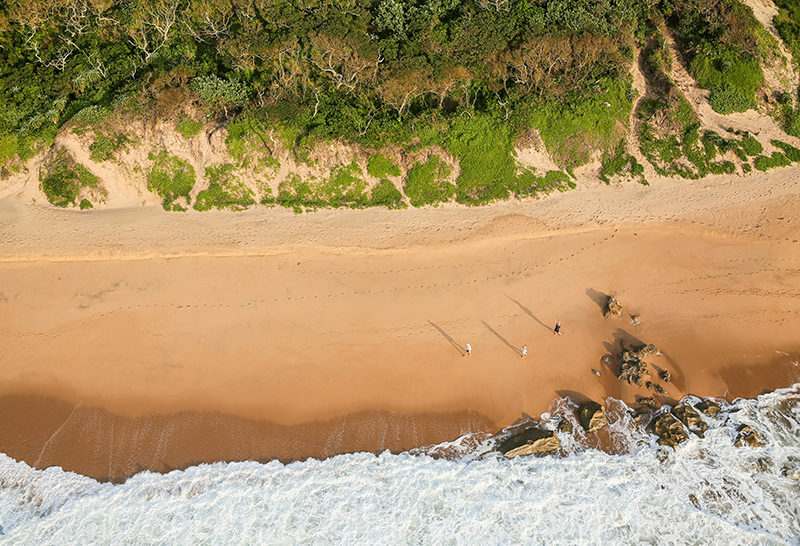 Maintain, Rehabilitate, Conserve and Protect – this is the mandate of the Sibaya Coastal Precinct Conservation Trust, which actively commenced with rehabilitation and alien species clearing at Sibaya Coastal Precinct in June this year. With over sixty percent of the total 1 042 hectares to be retained as coastal dune forest, wetland and open spaces including areas under sugar cane to be rehabilitated, the Sibaya Coastal Precinct Conservation Trust has taken a robust approach to ensuring that they honour and actively drive their mandate to return these expansive natural assets to their original state and ensure that they are protected for the entire region to actively enjoy – in perpetuity. Aside from an initial previous alien invasive clearing and replanting initiative along the western border of eMdloti alongside Bellamont Road, the next major phase of area rehabilitation through active invasive plant control is “continuing at good pace and standard’, says Horticulturist Geoff Nichols who heads up the horticultural portfolio of the Sibaya Coastal Precinct development. 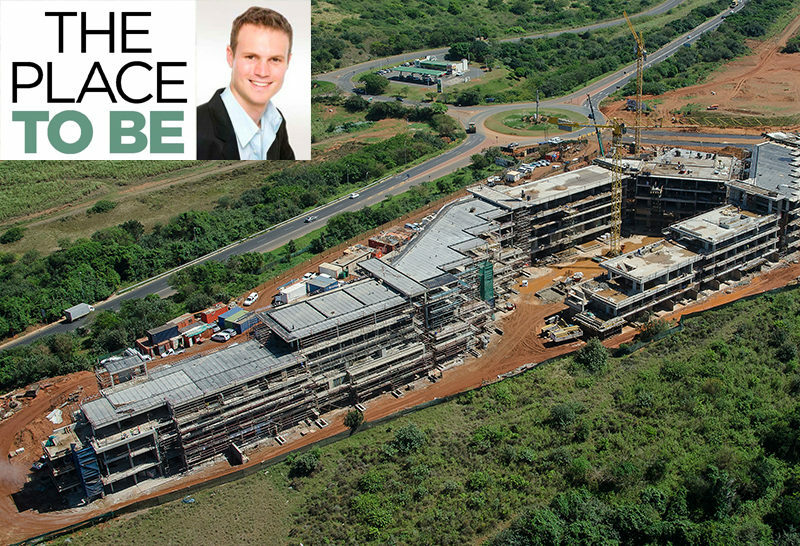 Geoff is known for his work in Zimbali Coastal Resort which has become an industry benchmark in terms of the successful preservation and maintenance of the natural environment within a residential development. Earlier this month Tongaat Hulett appointed a local company, headed up solely by women, to undertake the clearing of the invasive plant life. The company, Hlengiwe Luthuli Environmental Management (HLEM), will not only extensively tackle the alien invaders by cutting and digging out the plants, felling alien trees and treating the stumps, they will also be collecting indigenous plant seeds and propagules to replant in areas that have been cleared of invasive plants. 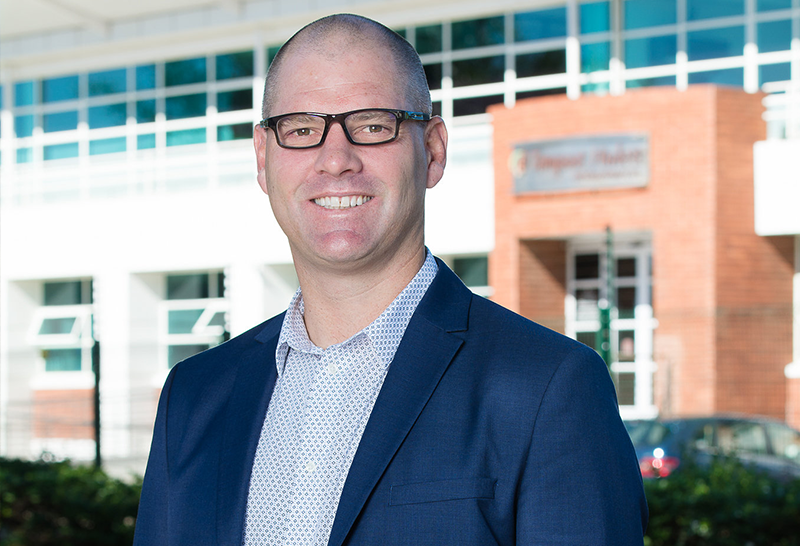 Working closely with HLEM, Geoff Nichols says, “The next strip of clearing of invasive plants will be along the western edge of the coastal forest and into the forest for about 20 to 30 metres. The distance into the forest will vary due to the nature of the gaps or clearings in the forest.” He adds that one of their more challenging tasks so far has been the clearing of a large and stubborn Barbados Gooseberry (Pereskia aculeata) shrub,native to the tropical Americas, growing over an indigenous White Stinkwood (Celtis africana) tree just to the east of the Vodacom Towers. This clearing is still in progress and is likely to take a while. 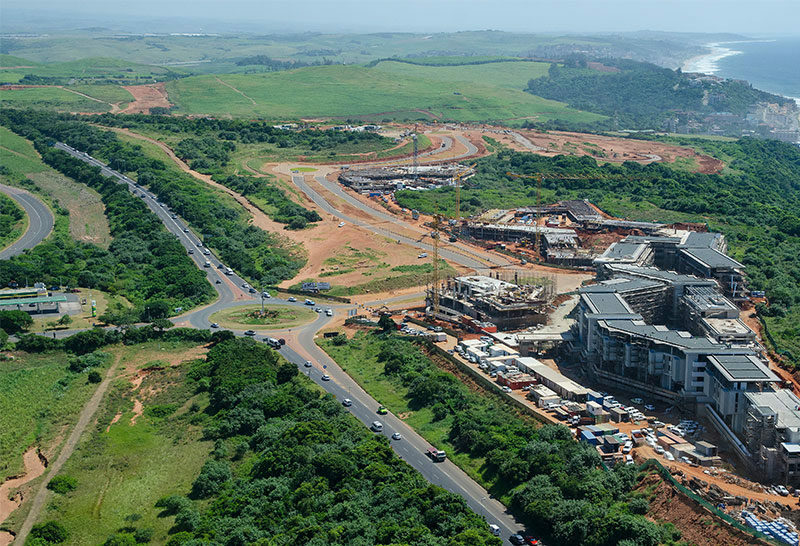 Work along the M4 and Sibaya Circle with Helelza Boulevard has commenced, and this is due to yield positive results not only in environmental terms, but will add to the aesthetic enhancement of the area in addition to visibility and safety along this busy stretch. 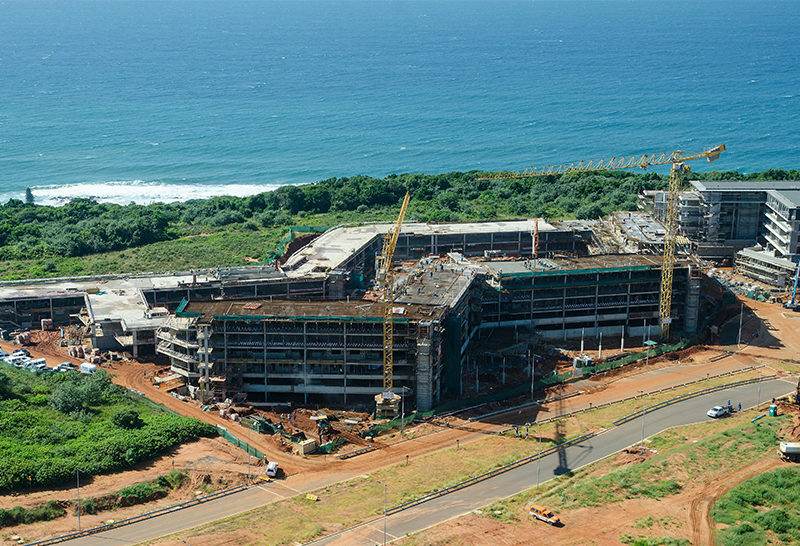 Sibaya Coastal Precinct has been carefully planned from the outset to be a living, vibrant and interconnected community, to which the surrounding communities may engage and ultimately, benefit from. Hlengiwe Luthuli, head of Hlengiwe Luthuli Environmental Management (HLEM), has been inspired by the surrounding nature, and how people can benefit from the protection and conservation of indigenous plant life. Growing up in the neighbouring village of Blackburn, Hlengiwe says that she couldn’t be happier about getting “an opportunity to benefit other people and make a positive impact on improving and preserving the area’s vast natural heritage”. HLEM currently employees 14 local women from the surrounding community, all of whom are active and enthusiastic about their meaningful contribution to maintaining and protecting the environment in and around Sibaya Coastal Precinct and the bordering village of eMdloti. Conserving the indigenous plant life is “Imperative for long-term sustainability of the eco-system,” noted Michael Hickman of HLEM. HLEM and its employees are committed to clearing alien plants, and safeguarding the indigenous growth within the Sibaya Coastal Precinct. A healthy work environment where relationships flourish, is what Hlengiwe believes will help secure future opportunities for herself and her team.